Re the "personal sympathy card": I don't understand that poem and the accompanying graphic. Am I supposed to feel sorry for the lady putting in her contact lenses? I GUESS that can be painful. But really, do we need to bring Jesus into it? Shouldn't you just ask Jesus for perfect vision? Just asking. The guy with the pie on this thigh (damn that would have rhymed) sorry ankle, is a nice tribute to your artwork and symbolisms. 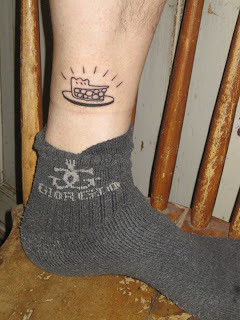 Only problem seeing a pie on an hairy leg with a heavy wool sock, makes me kind of lose my appetite for sweets. 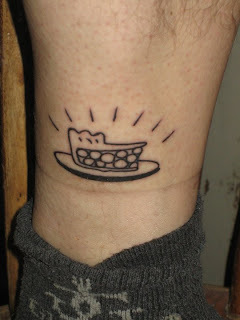 I like the ambiguousness of the tattoo -- sure, it could be simply a nice piece of pie on a plate, but it could also be a grinning alligator with three eyes, gleefully anticipating his next meal. 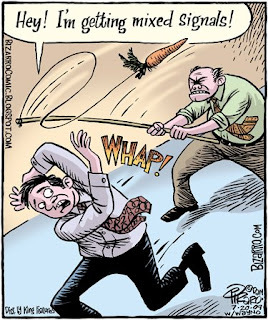 This cartoon is an accurate depiction of working for many corporations, imo. Gotta love it...I think I'll mail this to the CEO of the "evil empire." "RJS" is not the only one hwo has seen an aligator insted of a pie. Whos to blame? Dan or the tattoo artist!? 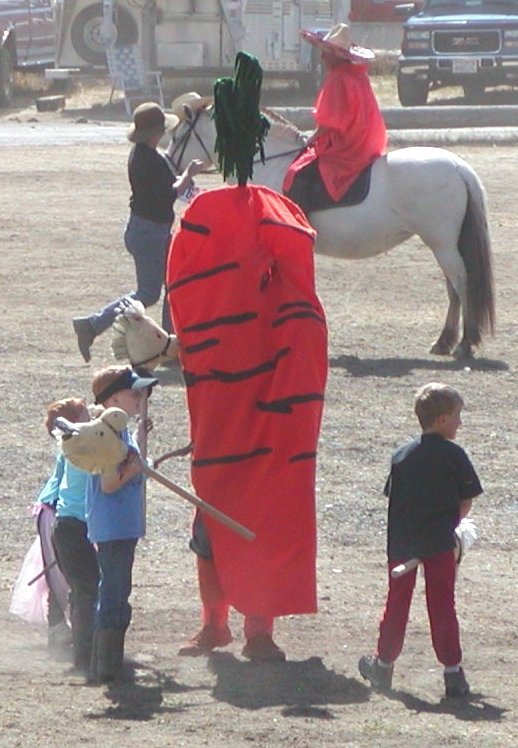 /"The hairy leged tattoed man"